drive33 - 59 - Netherlands - English, baby! 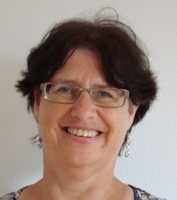 Hello, I am Cora, 58 years old and I am from Holland. I want to practise my English, because we're often going on holiday to Great-Britain. I want to follow English people when they explain something. I hope I can make English friends here. My biggest hobby is music. Favorites: Toto, R.E.M., Coldplay, R.H.C.P., Bon Jovi and the Babysitters Circus. At this moment: Dotan!!! !